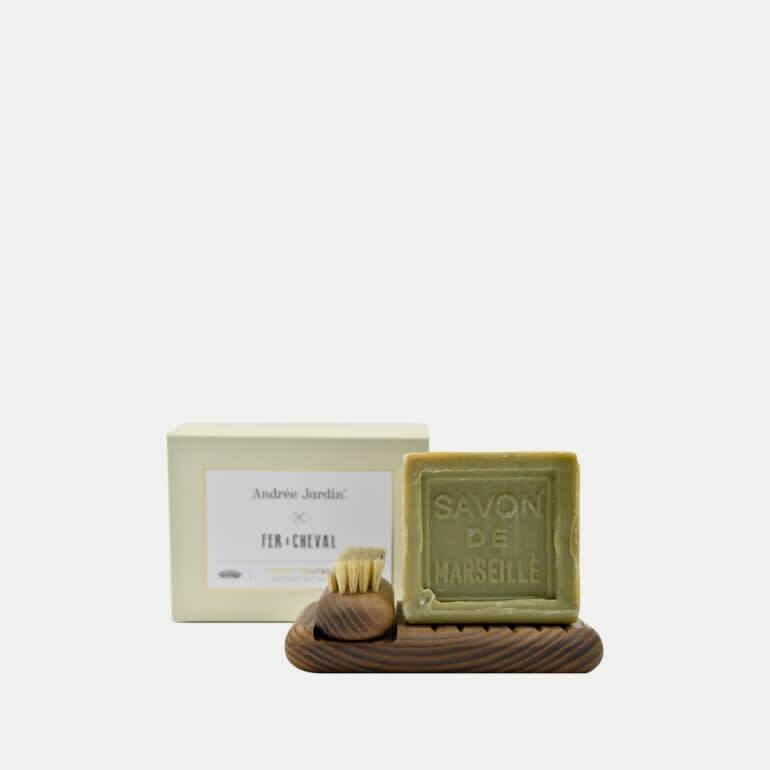 This elegant Heritage cabinet includes a wooden soap dish and thermo heated ash nail brush and a genuine cube of Marseille soap. Essentials of the bathroom to offer or afford. La Trésorerie in Paris, France.